Another good Alabama Backroads ride, this one leaves from Prattville, Alabama. Early in the season, it can be quite chilly at the start but will warm as the day and you move along. The roads are about 50% smooth tarmac, but the rest stops are well-equipped. The large amount of participants make this event a great starter century for those who have never tried one. My first official USA Cycling RR was an experience I will never forget. I made big mistakes, but I learned and hope to do a lot better in the future. The event is in a good location, but it is dicy when it comes to flat out racing due to roads still being open to traffic, which I thought was interesting. Category racing is a whole new thing to me. I am excited to learn and hopefully get better at tactics and strategy and pre-race preparation. 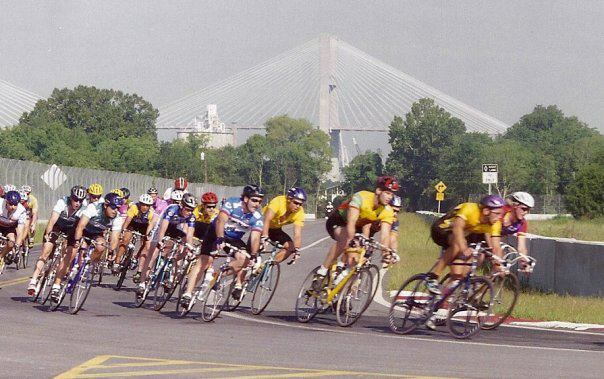 Held in Anniston, Alabama, the Sunny King Road Race and Criterium is a top notch racing event. With boom cameras and jumbo screens for the fans to follow the event, it is a close to being profession as I will ever get. With Frankie Andreu calling the race, it was fast and an incredibly fun criterium in which to participate. I will be back, year after year, from this point forward. The one part of racing (criterium) that I thought would be my least favorite has turned out to be at the top of my list. This is my second favorite century of the Alabama Backroads Series. Starting in Dothan, Alabama, the ride makes it way to Georgia then to Florida and back. The weather can be iffy this time of year, but not a big deal. The volunteers are absolutely great and the rest stops are stocked with terrific pick-me-ups. The course is always fast, mainly due to only 2,500ish of climbing in 103 miles. For the majority, the roads are nice and smooth and traffic is very light for about 95% of the ride. The ride benefits Children’s Hospital and Beulah Baptist Church is a great host. Held in Pintlanta, Alabama, this is one of those that you must do, if you are down this way. Named after Dr. Jim Glassner who was killed in a cycling accident in 2001, The Glassner Challenge is done the right way. All things are covered. It is well sponsored and held in a time of the year when the leaves are changing and the hills are splashed with color. All of the rest stops are themed and fully stocked with delicious foods and ice-cold drinks. Held in gorgeous Savannah, Georgia, The Savannah Century is a huge event. Many riders come from all over the United States to participate. The route is flat as it gets. There is no free-wheeling on this one . . . at all. It is fast, and many try to shoot for the sub-four hour century. This is my currrent PR for a century at 4:24. A section of road at around mile 10 is completely ridiculous and the cause of many flats and some crashes, but eventually smooths out and winds through a wildlife sanctuary for some time. Hydration is the key, due to the boiling Georgia sun. The Crank Your Heart run/ride is an incredible early season event. This was my first ever win. The course is an 11.2 mile circuit race that repeats twice with a decent climb in the middle that a rider obviously repeats twice. The event is held in Auburn, Alabama and temperatures are often quite cold. 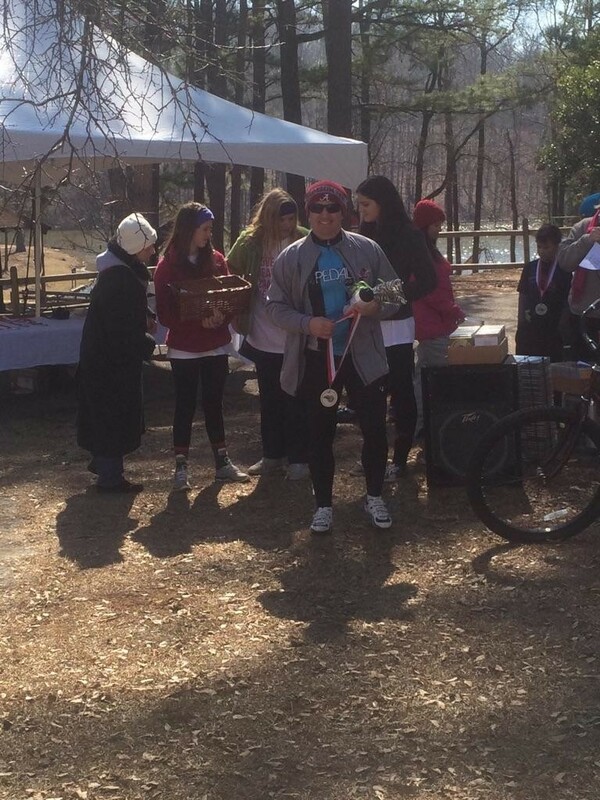 The Exceptional Outreach Organization benefits from the runner and riders of this event and sponsor many things like the Special Olympics and a therapeutic summer camp. It is at this camp that the podium medals for the top three riders and runners are made by the camp participants. The Auburn Recreational staff does a great job at the event, with lots of food, drinks, bike support, and encouragement. Nerves at the start and elation at the end, centuries are a great way for a cyclist to find out if he has what it takes. 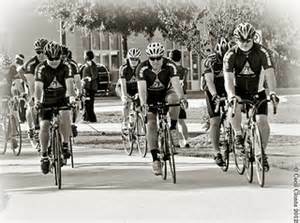 I recently rode the Johnny Ray, raising awareness and money for the cure for ALS. Rolling hills are the primary setting for this century, so a good pace line could help with the ups and downs. The re-fuel stations are a well stocked with food, drink, and encouraging people. One of the draw backs to this century is the surface. Smooth pavement greets you at the start, but don’t get too comfortable. There are miles and miles of chipseal. Just think of what it would be to ride the cobbles of Paris-Roubaix. It can be and is frustrating. It beats you and your bike into submission. Your pace slows, and it grinds on you. Keep telling yourself that it is for a good cause and people with ALS have a much, much tougher time. 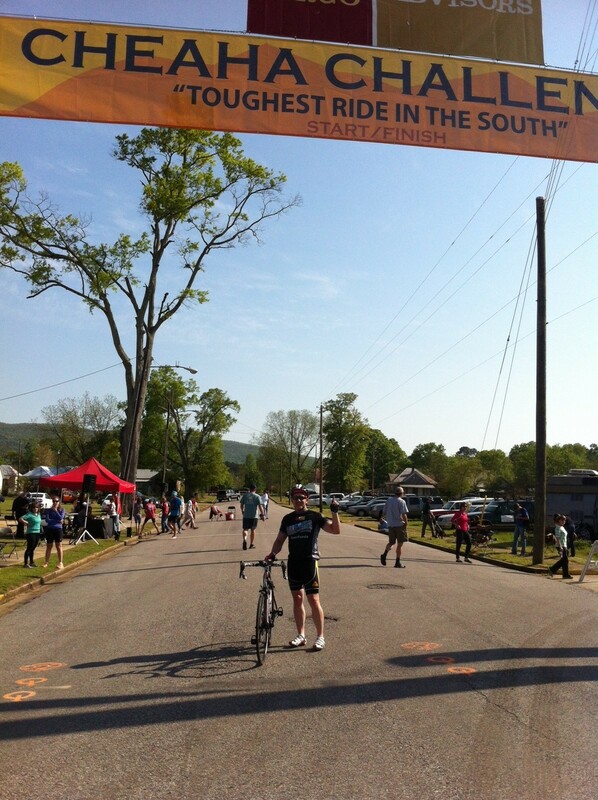 In May of 2013, I embarked on the “toughest ride in the South.” The Cheaha Challenge holds no punches. I am not a climber. I had to face my giant. The 102-mile course leaves out from Piedmont, Alabama and has miles of people standing out and cheering the riders, as they move beside a scenic Duggar Mountain on Highway 9 to Mount Cheaha . . . then the nightmare begins. With some of the steepest climbs at a 10.4% grade, the climbing seems to never end. The descending is just as tricky, even for the experienced rider. I personally reached 54.7 mph in one section. Suffering is part of riding. It adds to elation of what you have accomplished at the end, because you were not only physically strong but mentally strong as well. I cannot say enough about the people of Piedmont. They put on a top-notch grand fondo. This should be on your to-do list. Winding wood-lined roads with a bit of stout climbing in the hills of mid to upper Georgia is the setting for this ride. It is a nice century for a new rider, since there are so many out for their first try at a 100+ mile ride. Support is everywhere, and the event coordinators and volunteers are very helpful in phases of the ride. A great post-ride meal with a massage is not a bad way to recuperate either. This ride benefits the cure for diabetes. Many diabetic riders are supported during the ride and acknowledged by their jerseys. The roads are smooth and the supports stations are nice. Put this on your to-do ride in the future. Huntsville, Alabama puts on a good production. The All-You-Can-Eat Century is part of the Alabama Backroads Century Series. The cross section view of the course looks fairly reasonable, except for the middle. In the middle there is a plateau called Skyline. The ride up to the top consists of a 2-mile trek with grades reaching 11-14%. Once on top it “flattens” to rollers for the next 25 miles. The organization of this race is great. Registration and number pick up are both hassle-free. The roads are generally smooth with a few stretches of chipseal. For a ride that takes you into two states and has well-stocked rest areas, you can’t go wrong with this one.